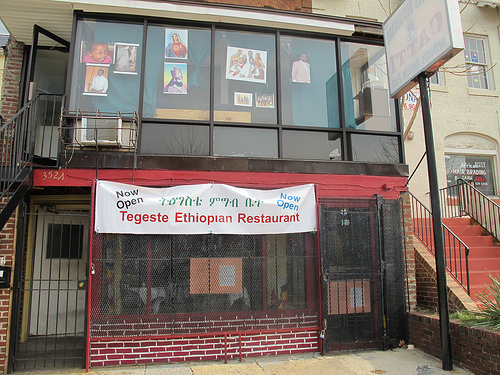 A couple of weeks ago we learned that a new Ethiopian restaurant had opened up at 3521 14th St, NW in the old Catti Mexican Restaurant space. Early reports are very positive. I was happy to see that they’ve recently applied for a liquor license. The space is small and modest (Seating capacity is 48) but I’ve found that places like this can have the best food.